Shock news from the Harvard Business Review this week: men who are ‘agreeable’ suffer a 20% deficit in earnings versus those who are ‘disagreeable’. Add this to one earlier in the year, where men who are slim also suffer a 20% deficit – and I’m in trouble. Average height costs me another 15-20%. And entering the jobs market in a recession (1990) means a £200,000 lifelong deficit versus those who entered the labour market in a ‘boom’. Any more ‘deficits’ and I’ll be paying my employer for the privilege of working my nuts off. My remedy – West Indies cricket of the 1970s and 80s. Master your sense of injustice, focus on what you are great at, forget the conventional wisdom and play to win. Joel Garner, Michael Holding and Curtly Ambrose were very tall. 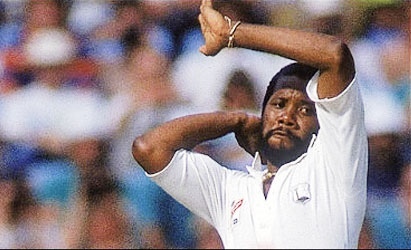 Malcolm Marshall was average height, but the most feared fast bowler of them all. Viv Richards took whatever blows were necessary, before whacking everything and everyone all around the ground with controlled power and aggression. Finally Clive Lloyd. He captained in virtual silence – an inclination of the head, a quiet word. Total authority. His loping, slightly stooped walk to the middle, enough to make the whole crowd pause and pay attention. The Harvard Business Review says if I respect the average, I lose. So like the great West Indians – time to change the rules of average white males.